Probably the most beautiful edifice in Brussels, the Town Hall or Hôtel de Ville or Stradhuis (yes, it has a number of names!) 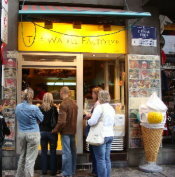 stands prominently in the Grand Place Square with its 315 feet tall tower. It is the official seat of the Mayor of Brussels though the administration is located on the Anspach Blvd. Its importance however is not due this. It is a historic structure which had its inception in 1402 when the construction began. On this site there were some wooden structures – shops and inns – which were demolished to make way for the Town Hall. The original new building was just the left half or the current structure with a small tower. The architect Jacob van Thienen is credited with this work. In 1444 this building was extended with a right wing which was smaller though to that on the left (the authorities did not want to over run the existing street on the right). Thus the tower is not in the middle. This construction and the current tower were complete in 1449. Jan Van Ruysbroeck is the architect of the tower. In 1455 the statue of St. Michael (shown as triumphant after slaying the Devil) was installed on the top of the Tower. This statue was only removed in 1996 to be replaced by a new one. The original structure has undergone a number of restoration works. In 1695 after the French attack (by troops of De ville roy) the building suffered immense damage. It was immediately thereafter restored. By the early 19th century the structure required restoration due to wear and tear – mainly on the statues adorning the building. 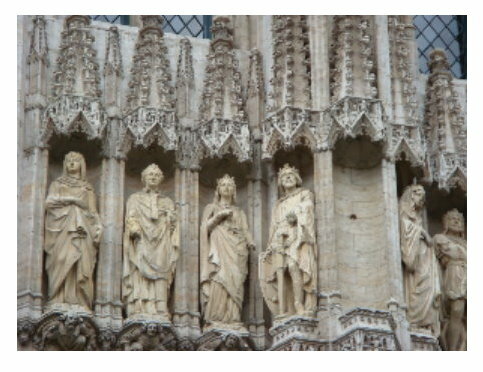 In the 1840s another restoration work entailed the beautification of the façade with over 200 little statues of the Dukes and Duchesses of Brabant from 6th century A.D. to the 16th century. The Duchy of Brabant consisted of the Flemish Brabant, Walloon Brabant, Antwerp, Brussels and the Dutch province of North Brabant during the Roman times. It has numerous sculptures on its sides. Ornate and beautiful, the tower has a overpowering presence in the square. That was a little note on the history of the place. It is a great experience even today. The Grand Place is a obvious stop in Brussels for a tourist. The details of how to get around Brussels are given here. 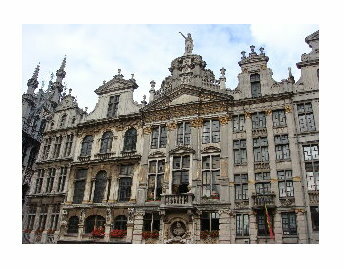 The Maison des Brasseurs at the Grand Place, was originally occupied by the Brewers Guild. 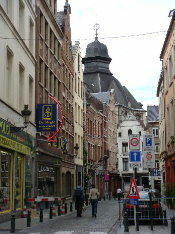 Before the Maison des Brasseurs, the “Gulden den boom” or the “Golden Tree” was located there. The Brewers Guild which was founded in the 14h century. In the late 16th century they bought the house from the “Golden tree”. 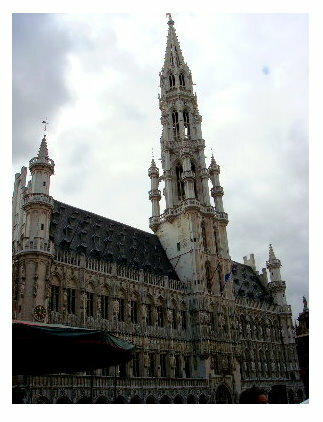 In the 1695 attack by the French, the Grand Place was bombed and much of the square destroyed. The Brewers Guild financed the reconstruction of the building. It was designed by architect William De Bruyn. 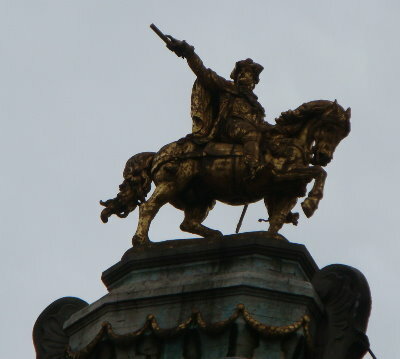 The man on horse statue on top was added in 1901. It is a beautiful architectural piece. It is a copy of a 18th century work representing Charles of Lorraine, who was a benefactor of the corporation. The building is currently a national museum of the brewery. It is less than ten minutes from the Central Station and is easily accessible. Details of getting around in Brussels given here.